In July, attendees at Comic-Con enjoyed a rare treat: a long-lost blooper reel from the original Star Wars. Discovered by J.W. Rinzler, an editor and author for Lucasfilm’s book division, while he was researching the archives for a “making of” series, the reel was not expected to be made widely available. But it appears to have wound up on YouTube, and for now, at least, we can all enjoy the 36-year-old video. 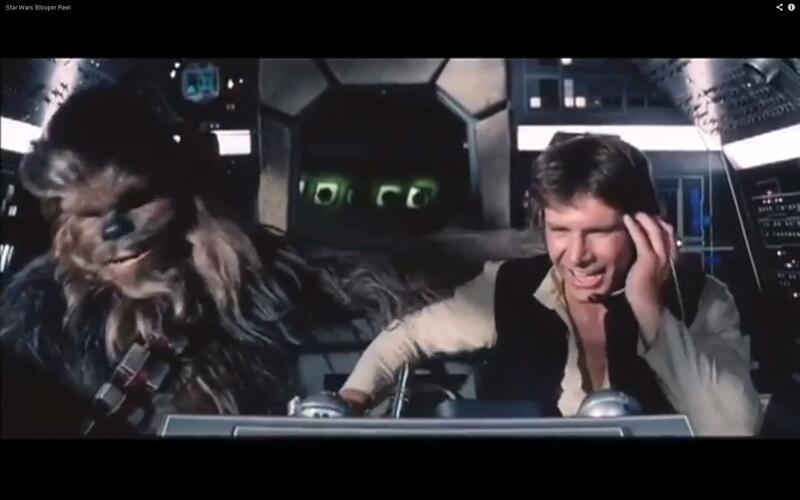 For Star Wars fans, it shouldn’t disappoint: Harrison Ford flubs a line and eats a headset, Storm Troopers clumsily attempt to maneuver around a malfunctioning set, and Mark Hamill wonders how to properly pronounce “supernova.” Note: the first 50 seconds are silent before the sound kicks in. Enjoy this while you can.